Legend among the pottery community tells of a madman who changed the legacy of the craft and the wider art world forever. Known as the "Mad Potter of Biloxi," George Ohr inspires Sunset Hill Stoneware's artisans in ways few would expect, from the uniqueness of his work to his eccentric persona. While most of his madness was self-styled, Ohr was an incredible artist whose work has inspired awe for more than 100 years. Today, the Sunset Hill Stoneware team honors the legacy of George Ohr, the Mad Potter of Biloxi, for his innovation, his influence on pottery as an art form and the much-needed touch of madness he brought to the world. George Ohr was a pioneer for stoneware ceramics in America today. Born in Biloxi, Mississippi in 1857, Ohr took interest in ceramics during his younger years and learned from a master before taking the next steps of his career into his own hands. "When I found the potter's wheel I felt it all over like a wild duck in water," Ohr wrote in an autobiography preserved by Smithsonian Magazine. 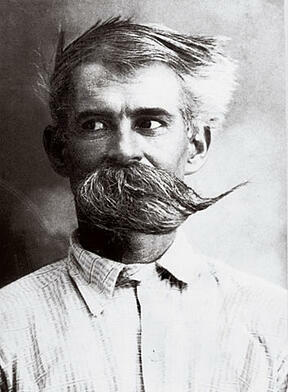 Between his distinct pottery and epic facial hair, Ohr was the poster child for all things eccentric. He created styles of vases and pots that have proven nearly impossible to replicate even on modern pottery wheels, with walls so thin that they would collapse or shatter in the kiln under normal circumstances. Many of his pieces also feature surreal, metallic and red glazes that appear to bleed off the sides of the pot, a product of experiments with the kiln that few dared to try even back in his day. Despite his unique takes on this old art form, Ohr didn't find much success during his lifetime, although he gained respect among his contemporaries. In fact, he even believed himself a failure as his pieces very rarely sold at shows and auctions. Nevertheless, he followed his passion for pottery for decades and continued to venture with his work where few potters feared to tread at the time. All the while, he continued to cultivate his nutty persona for the public and became somewhat of a fixture in Biloxi. 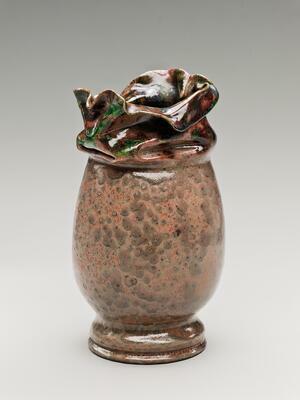 Like many potters who work in unhealthy conditions throughout their careers, Ohr succumbed to throat cancer in 1916. However, despite the lack of notable success during his lifetime, Ohr's legacy flourished after his death. His pieces garnered more attention, and the Ohr-O'Keefe Museum of Art in his hometown of Biloxi was named after him and local philanthropists Jeremiah and Annette O'Keefe. Some in the art world consider Ohr to have laid the groundwork for the abstract-expressionism movement in America. His legacy lived on as the movement developed decades after his death, and pottery and art lovers still revere his work with wonder. Although much of his pottery gathered dust in the back of a garage for years, they can now be seen in a permanent exhibit at the museum that bears his name. Much like our own unique coffee mugs and ceramic beer mugs, no two of George Ohr's ceramic pots are exactly alike. His vases often feature unmistakable slopes and curves that give them a warped, contorted appearance. Others feature long necks and ornate handles with wider bottoms, along with unusual glaze colors. How he managed to make any of these unusual shapes remains a mystery to this day, although many potters have tried to recreate the pots for themselves. 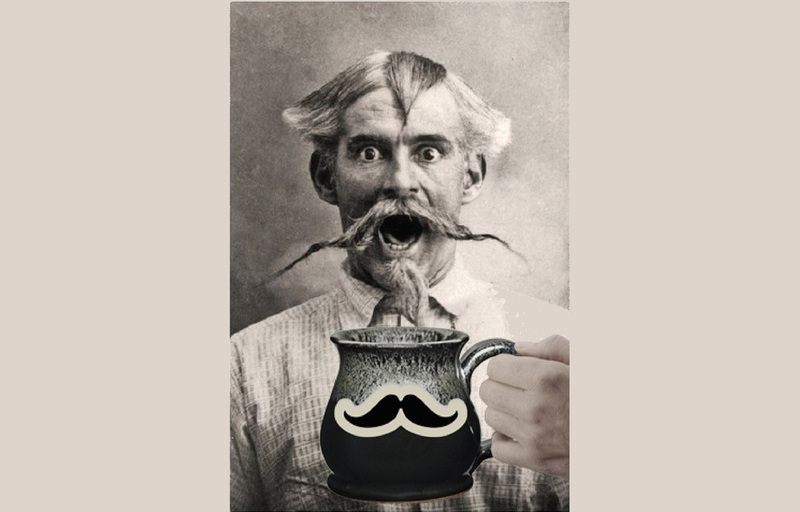 Whether it was a matter of the clay he sourced from a nearby river or some other trick he had up his sleeve, Ohr's pots have very few successful imitators. While we can't make some of the claims to fame that Ohr did in his day (though some members of our production crew are crazy in their own right), our potters still draw inspiration from his knack for pioneering experiments. The metallic glazes he used on his pottery vases and other works paved the way for us to make some of our current color options, such as Silvery Night and Galaxy Night and inspires us to test the laws of chemistry as we develop new ones. Ohr's knack for experimentation lives on in us each day. His research with form encourages us to make new shapes for our mugs and steins. Our glaziers and potters are constantly pushing the limits of the craft and our creativity to bring you the best, highest-quality ceramic coffee mugs around. 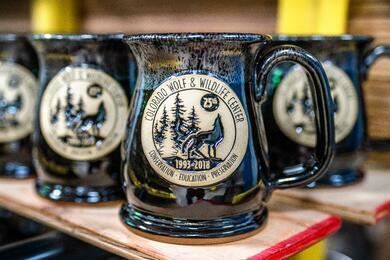 We emulate what he did with his pots by never settling for using molds or slipcasting for our mugs, steins and other stoneware, instead using our bare hands with every unique mug we make. The final product is the perfect vehicle for any brand or statement, and we're happy to share the results with the world, whether it's as a promotional product with your logo or one of our own creations from our online store. Without pioneers like Ohr laying the groundwork for ceramics, Sunset Hill Stoneware's handcrafted pottery mugs might not be what they are today. We tip our hats to George Ohr and others like him who helped change the modern history of ceramics for the better.